What is the definition of deviated septum? What are the causes of deviated septum? When should I see a doctor about a deviated septum? Can deviated septum be prevented? The thin wall between the nostrils is made of cartilage and bone, and is called the septum. When this is off-center or crooked, it is called a deviated septum. A deviated septum may be present at birth, may become crooked during growth, or may be caused by injury to the nose and face. A deviated septum often does not have any symptoms, but some symptoms include difficulty breathing through the nose, nasal congestion, sinus infections, nosebleeds, sleep problems, headache, and postnasal drip. Some symptoms of deviated septum may be treated with medication. More severe cases of deviated septum may require surgery to repair the septum. The wall between your nostrils is called your nasal septum. The septum is made up of bone and cartilage. When this cartilage or bone is off-center (deviated to one side) or crooked, it is referred to as a deviated septum. A person can be born with a deviated septum (congenital), or it can bend due to normal growth during childhood. Another cause of deviated septum is injury or trauma, such as a broken nose. Is nasal congestion a symptom of a deviated septum? Your health care professional can diagnose a deviated septum during the physical examination. Usually a bright light and an instrument that can help visualize the nasal septum by opening the nostril (nasal speculum) will help make the correct diagnosis. Some deviated septums are deep in the nose and may require further evaluation in the office with a small telescope or endoscope. Imaging may occasionally be done with a CT scan to view the extent and other associated to findings, but this is not often done. A deviated septum is an extremely common condition and many people with a deviated septum do not need treatment. Some symptoms such as a stuffy nose or postnasal drip may be alleviated with medication, including decongestants, antihistamines, or nasal sprays. In many cases, medications are tried before surgery is recommended. If a person has a deviated septum and it causes breathing problems or sleep apnea and snoring, surgery may be recommended to repair the septum. Surgery to fix a deviated septum is called a septoplasty, submucous resection of the septum, or septal reconstruction. A deviated septum may cause any of these problems, however, there are other reasons these symptoms may occur and it is important to see a doctor for a correct diagnosis and treatment. If known, what was the cause of your deviated septum? What were the symptoms associated with your deviated septum? Did you have surgery for a deviated septum? Did you also have rhinoplasty done at the same time? Sinus infection (sinusitis) is infection (viral, bacterial, or fungal) or inflammation of the sinuses. Symptoms of sinus infection are cough, bad breath, coughing up greenish-yellow sputum, sinus headache, and other symptoms of the common cold. Treatments of sinus infection are home remedies to soothe symptoms and antibiotics if the infection is bacterial or fungal. Deviated septum surgery (septoplasty) and turbinectomy (nasal airway surgery) is performed on individuals who have a deviated or crooked septum or enlarged tissues (turbinates) within the nose. The goal of surgery is to improve breathing, control nosebleeds, relieve sinus headaches, and promote drainage of the sinus cavities. Risks and complications of surgery should be discussed with the surgeon prior to surgery. Rhinoplasty is a type surgery that is performed to repair nasal fractures or to change the appearance of the nose for cosmetic reasons. The nose is packed after surgery to minimize bleeding. Proper aftercare will help minimize the risk of infection. 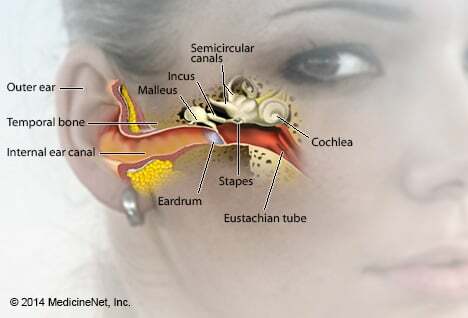 Sinus surgery involves the precise removal of diseased sinus tissue with the improvement in the natural drainage channels by the creation of a pathway for infected material to drain from the sinus cavities. The sinus surgery information is provided to help you prepare for sinus surgery and to help you understand more clearly the associated benefits, risks, and complications. Sleep needs in children and teenagers depend on the age of the child. Sleep disorders in children such as: sleep apnea, parasomnias, confusional arousals, night terrors, nightmares, narcolepsy, and sleepwalking which can affect a child's or teen's sleep. Healthy sleep habits and good sleep hygiene can help your infant, toddler, preschooler, tween, or teenager get a good night's sleep. Sleep-related breathing disorders are characterized by disruptions of normal breathing patterns that only occur during sleep. Snoring and sleep apnea are the most common sleep-related breathing disorders.